Coca-Cola is a common subject on this blog. 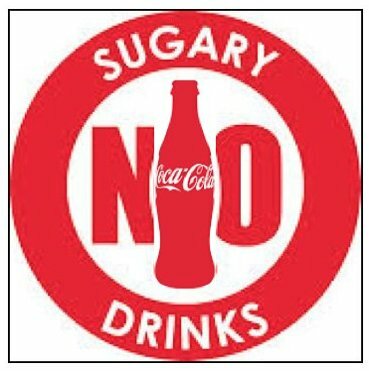 We have previously documented Coke’s attempts to protect Big Sugar (BS) through their manipulation of the fitness industry by means of influencing health policy and public opinion, and by purchasing political favor. Recall that Coca-Cola is co-founder of the American College of Sports Medicine’s “Exercise is Medicine” program, which would silence trainers speaking to clients about sugar-consumption. More recently, Coke was caught paying nutritionists to Tweet against soda taxes. We have also covered the company’s efforts to leverage Coca-Cola employees also working inside the Clinton Presidential campaign to keep Hillary quiet on soda taxes. With all this to consider, it would be easy to think that Coca-Cola’s corruption is a specifically American problem. This couldn’t be further from the truth. Last week, Coca-Cola flexed its muscle in New Zealand, forcing the health advocacy group FIZZ to remove a recently created logo targeting soda. The logo lasted a mere 24 hours. What happened? The pressure to change the logo seems to have come directly from the New Zealand Food & Grocery Council (FGC). The New Zealand FGC is an industry association that represents the interests of the food and beverage industry. Coca-Cola is a member company of the FGC. A close look at the FGC’s publications suggests it is following the same pattern of obfuscating the relationship between sugar consumption and disease we have seen from Coca-Cola’s proxy organizations in the U.S.
For example, in 2013, the FGC’s CEO, Katherine Rich, released a statement explaining her organization’s commitment to “being strongly supportive of encouraging healthy lifestyles for New Zealand’s citizens and reducing harm in our communities caused by unhealthy choices.” What does that look like in practice? Aggressive promotion of the Coca-Cola-friendly theory of “energy balance.” FGC’s stance on nutrition follows the same pattern we have seen in all of the corrupted, soda-funded organizations we have seen in the U.S. First, the FGC makes the hallmark claim that the solution to our nutrition problems is “complicated.” Like their American counterparts, the FGC focuses on obesity rather than underlying metabolic derangement, looks to portion control rather than macronutrient composition, and emphasizes the need for burning kilojoules rather than abstaining from sugar. Just this year, the FGC released a series of videos by registered dietician Nikki Hart to help people “make informed choices around the food they eat and their lifestyle.” This educational video series was touted by Rich as “straight-forward, engaging, motivating and based on sound science.” What Rich does not mention is that Hart is a paid nutritional advisor to Coca-Cola Oceania, and Hart has previously refused to reveal how much Coke pays her for her work. 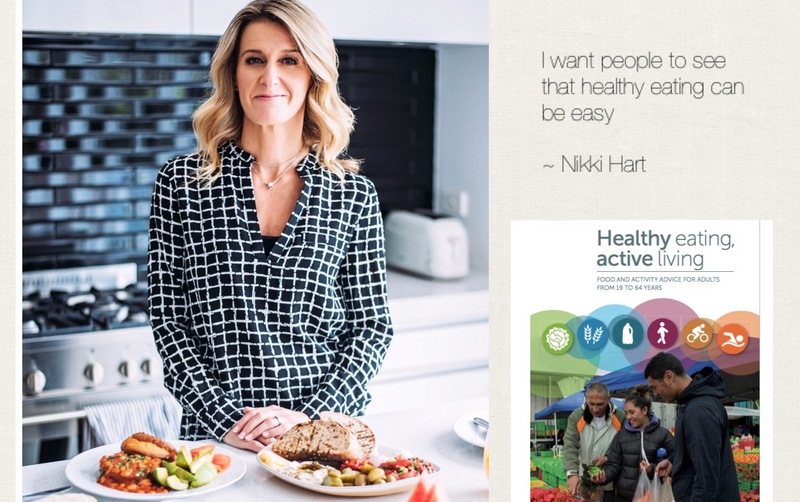 Nikki Hart, nutritional advisor to Coca-Cola Oceania. So the question remains, why did FIZZ so quickly cave in to the pressure from the FGC? Despite their initial reaction, FIZZ appears to have restored all links to an updated logo on their website, and they have produced three different versions for public use. I applaud FIZZ for creating the logo, and I believe significantly altering the image would have been a strategic error. It does appear, however, that they altered the logo slightly. A statement from the FGC shows that the organization argued that the soda-bottle silhouette in the FIZZ logo looked “almost identical in shape and colour to the iconic curved Coke bottle.” Their argument, it seems, is that it is unfair of FIZZ to single out one company and one product in their campaign. Should FIZZ care about being “fair” to a company that is intentionally obfuscating the link between its product and chronic disease, contributing to the death of millions of people? In reality, Coca-Cola has a more than 90% share of the cola market in New Zealand. It seems the “fair” thing to do would be to explicitly target their products. Should FIZZ be concerned about legal repercussions from the continued use of this logo? I think not. Coca-Cola recently lost a trademark battle in NZ over the silhouette of its contoured bottle. In the case, the judge ruled that Coca-Cola “cannot extend the scope of its registration by going on to use as a sign the silhouette derived from its registered marks when that sign is not itself registered.” The judge’s ruling suggests to me that FIZZ would prevail in any legal attack based on the similarity of its logo to the Coca-Cola bottle silhouette. We have a condo in Mazatlan Mexico and a few years ago Choppo Guzman, the world’s most wanted criminal and the head of the Sinaloa drug cartel was captured down the street from us. People are upset because Guzman and other cartels are responsible for the deaths of hundreds of thousands of people. Mexico is also the number one consumer of Coke in the world. The number of deaths associated with Coke likely dwarfs the deaths from the drug wars. Things don’t always go better with Coke!